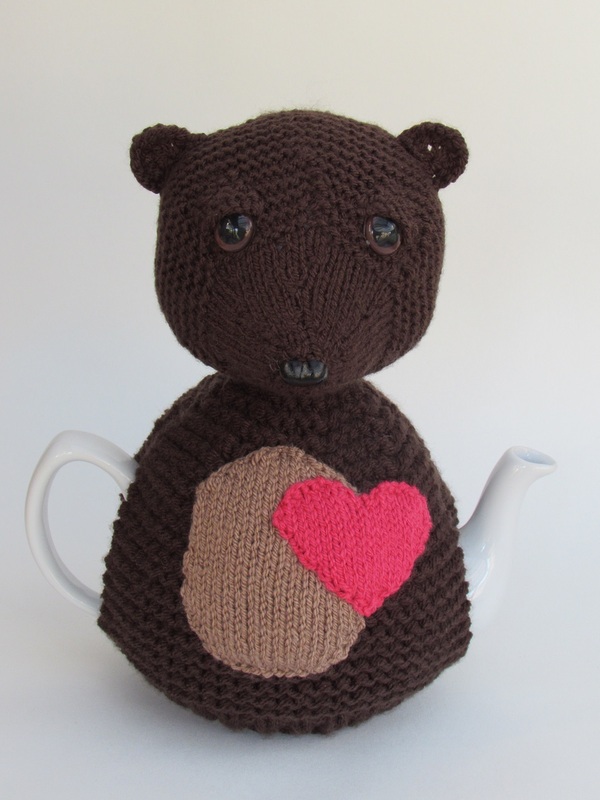 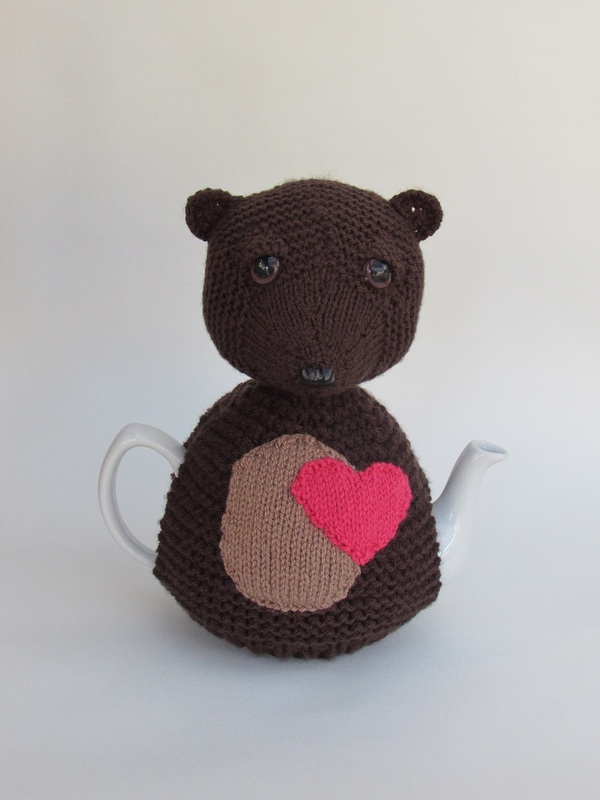 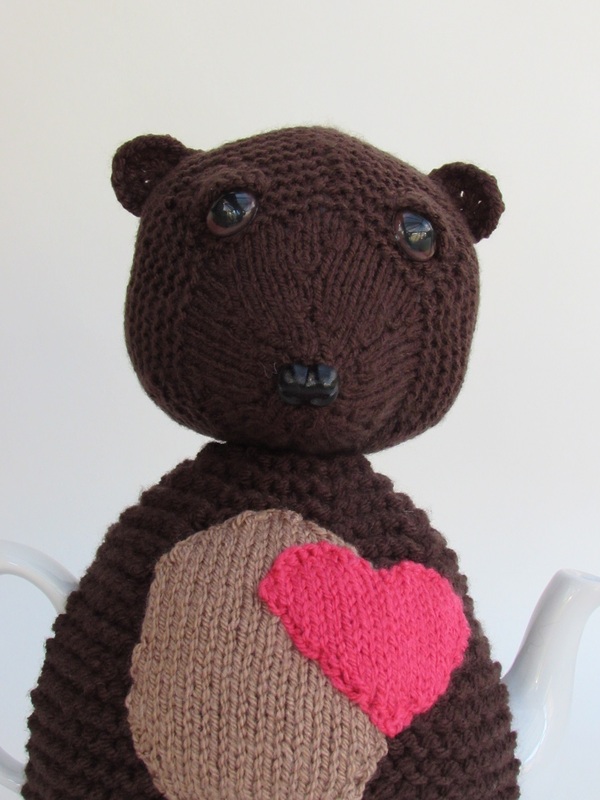 The bear heart tea cosy isn't a realistic looking bear, but more of a teddy bear. 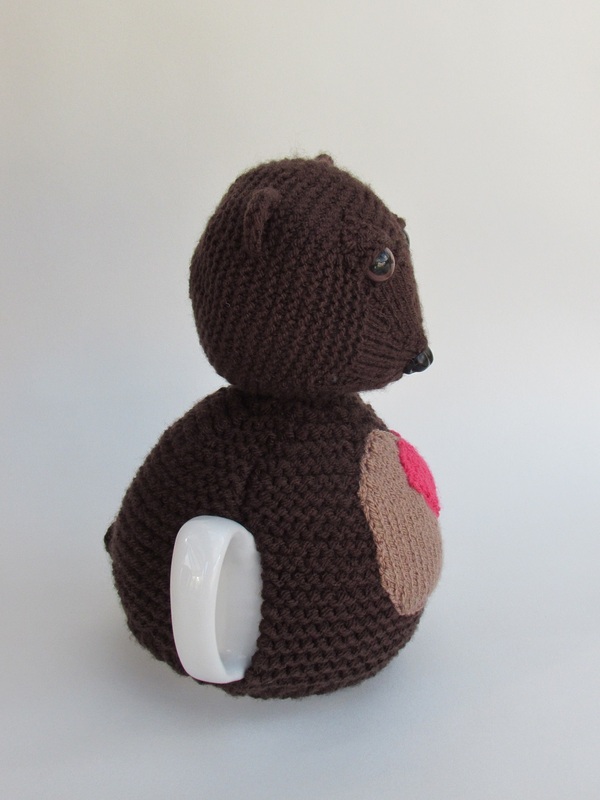 He has a very cute sad face, with quite depressed looking eyes. 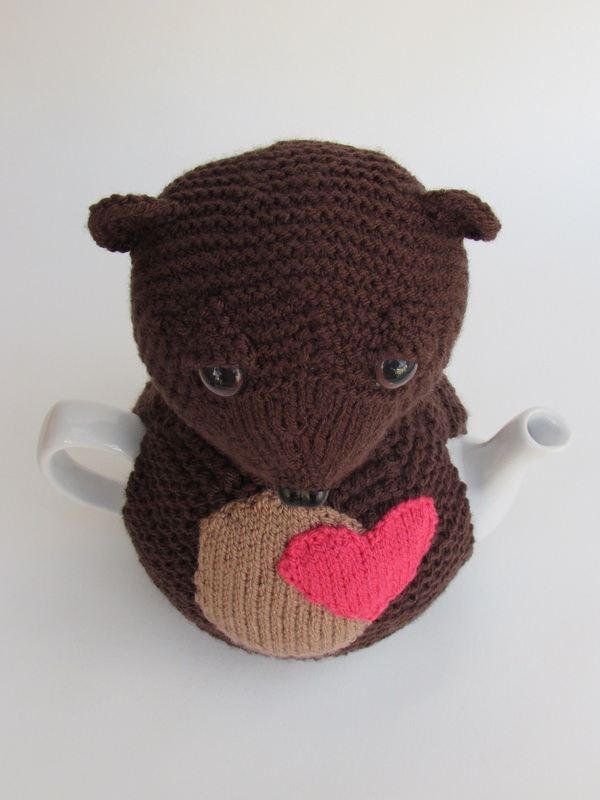 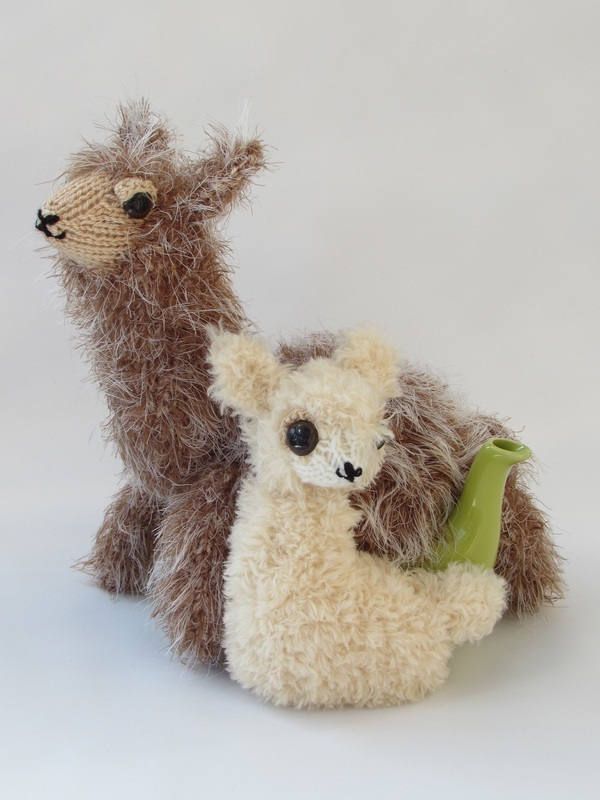 He has a lighter brown coloured tummy with a pink heart. 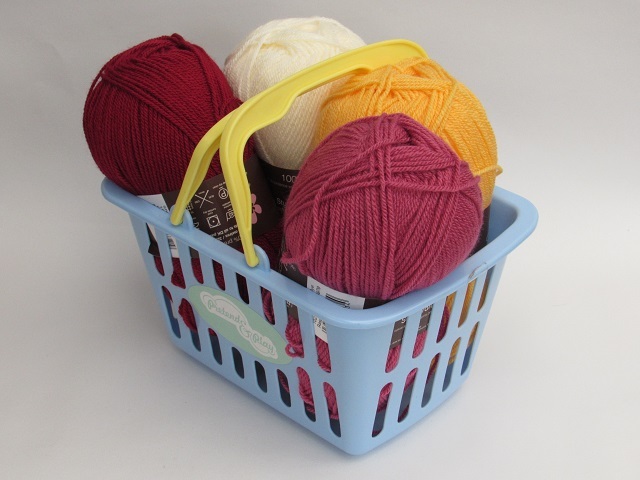 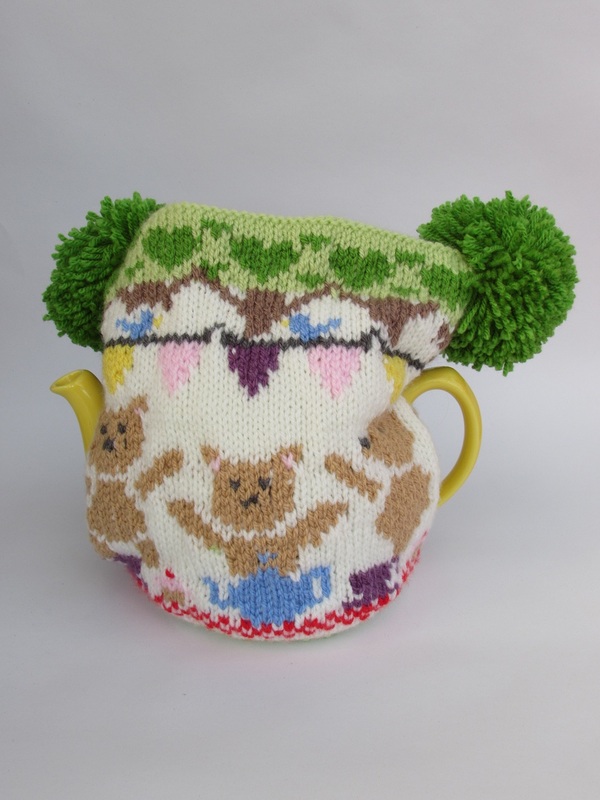 This is an easy tea cosy to make being mainly garter stitch, and without any arms or legs, there's not many components to knit. 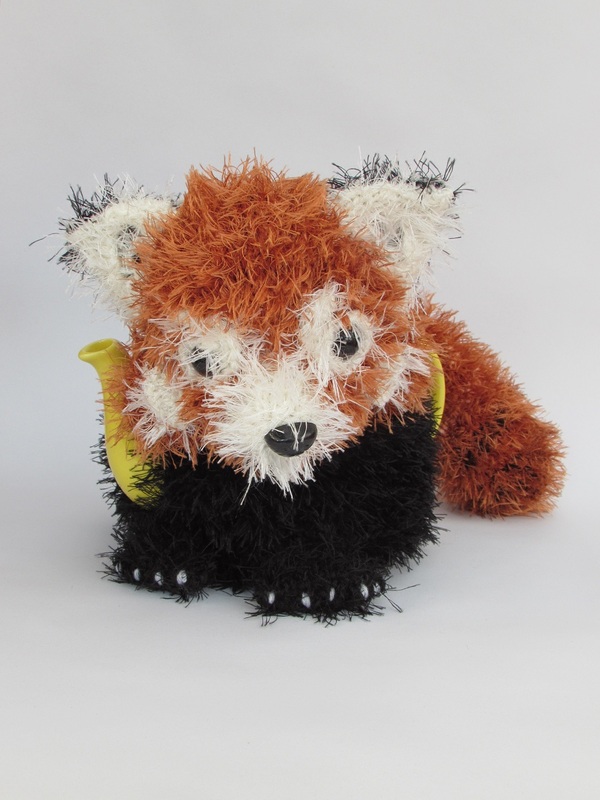 He is very cute. 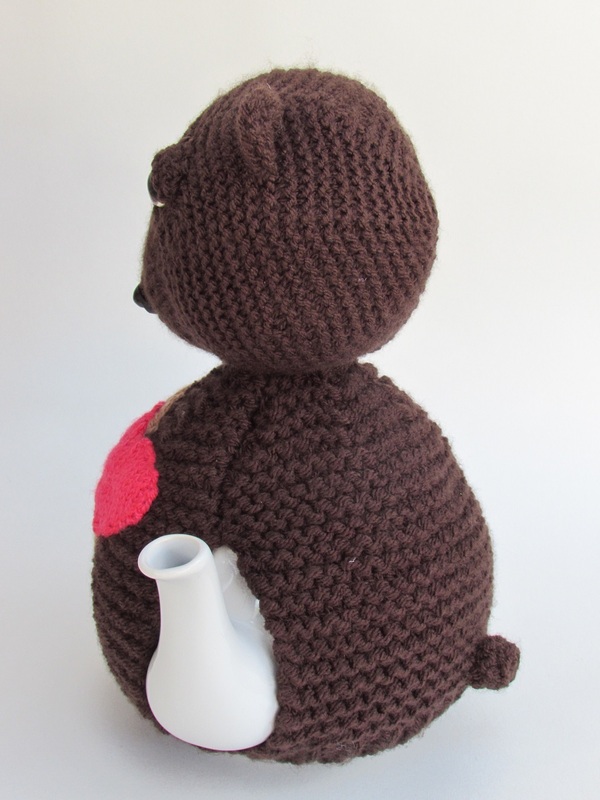 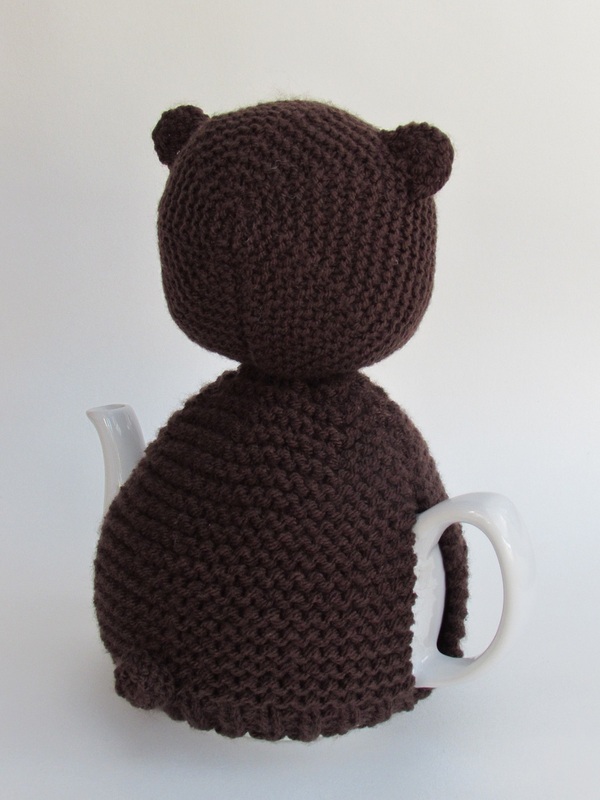 What I especially love about the bear tea cosy, is his cute little tail a the back. 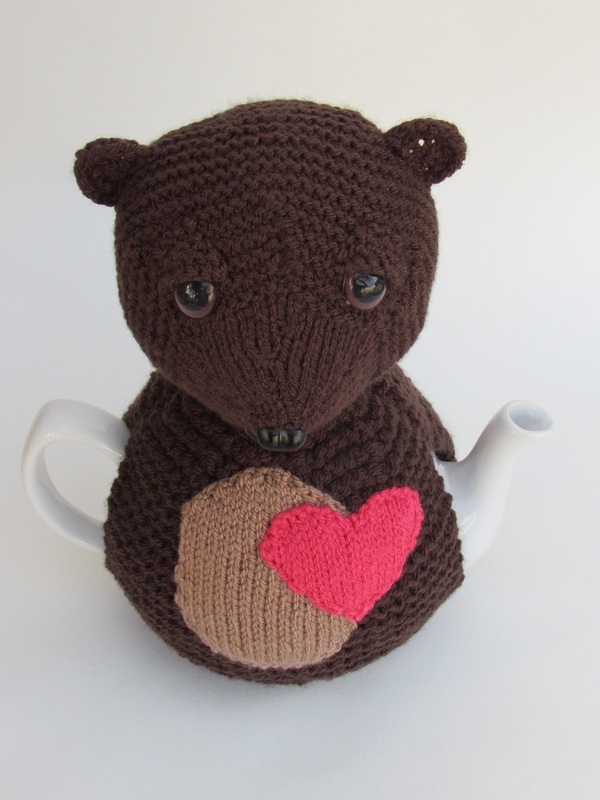 He could be knitted in any colour, but I liked the Stylecraft dark brown shade for a lovely brown bear. 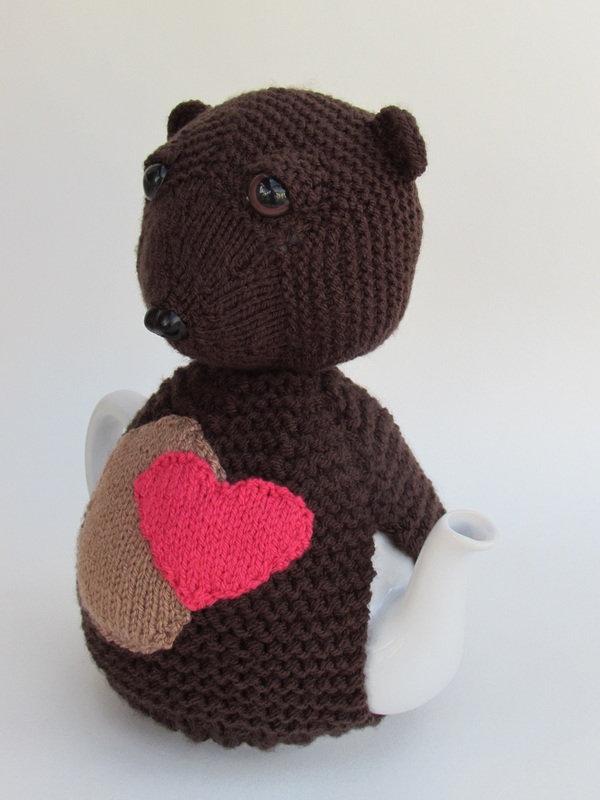 I used to love Grizzly Adams' bear when I was a kid. 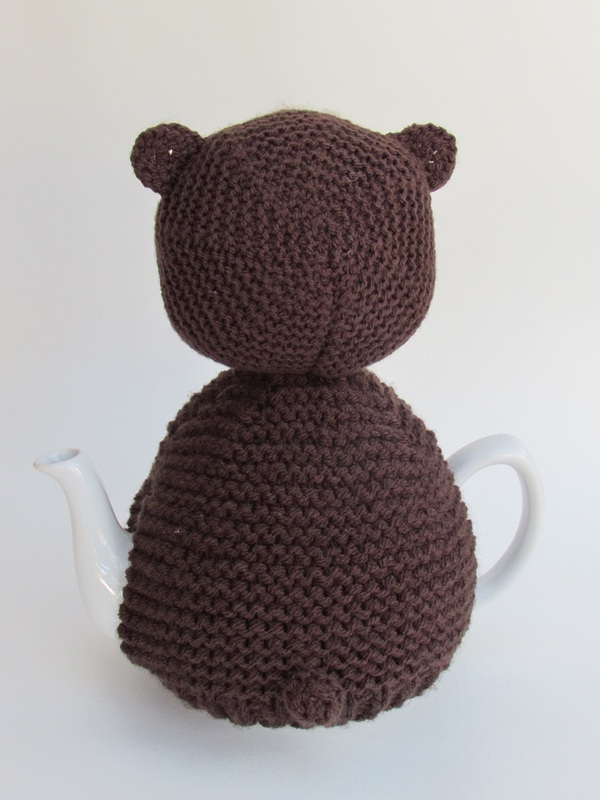 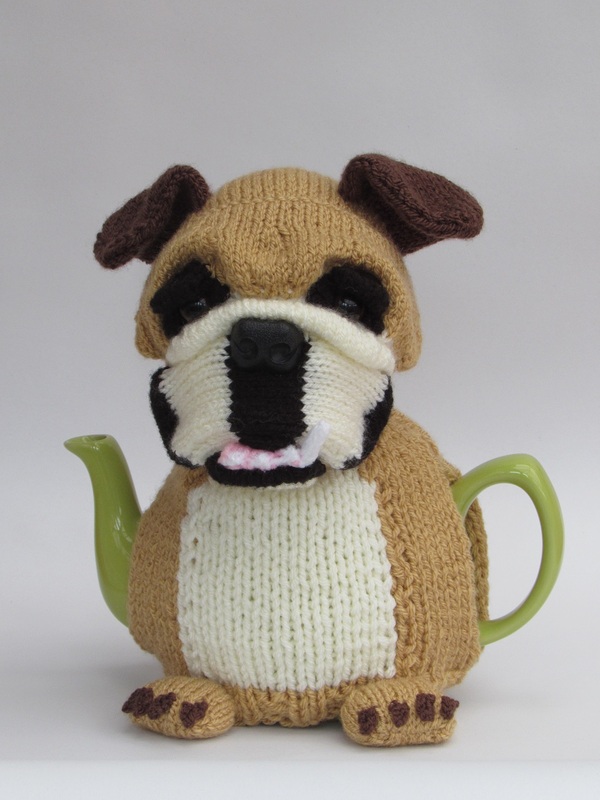 The best way to cover a bare teapot is with a bear tea cosy.